It’s springtime. The flowers are in bloom but are attacked by bugs. Your task is to protect the flowers form the bugs. Use the spray to kill the insects but be careful. 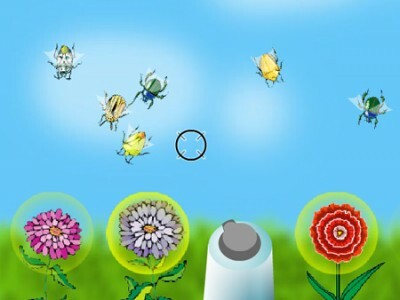 You have only 20 sprays and if you don’t manage to destroy the vermin, they will destroy the flowers and the game is over.